Could this be the end of the hatchback? 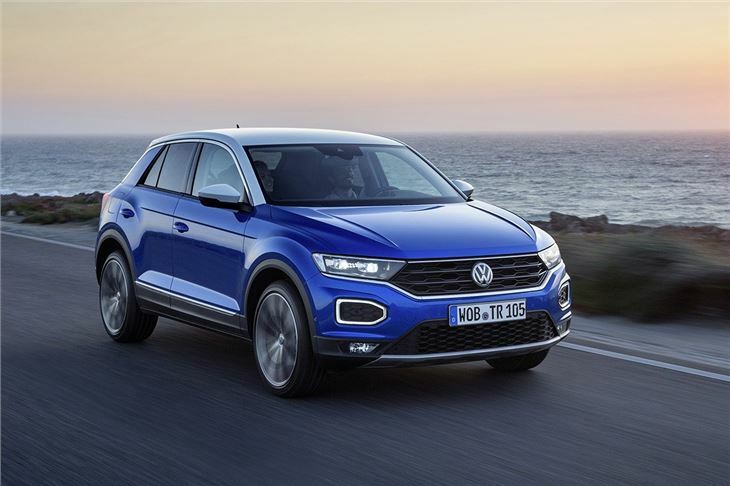 Volkswagen will tell you that last year one in three cars sold globally was an SUV, making it the most popular bodystyle in the world. So, if you’re not keen on them then look away now, because the German firm has a new one to add to the pile. 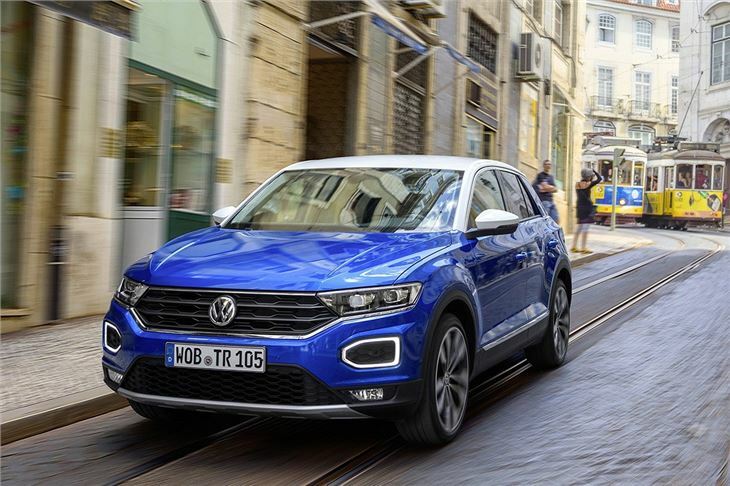 The T-Roc is the smallest Volkswagen SUV and is ready to battle the Audi Q2 and Mini Countryman. Not all models are available from launch, but by the end of 2017 the range will include a choice of three petrol and two diesel engines, six-speed manual or seven-speed DSG gearboxes and three trims - SE, Design and SEL. Tested here is the most popular diesel option, the 150PS 2.0-litre TDI with DSG and 4Motion four-wheel-drive, in high-specification SEL trim. 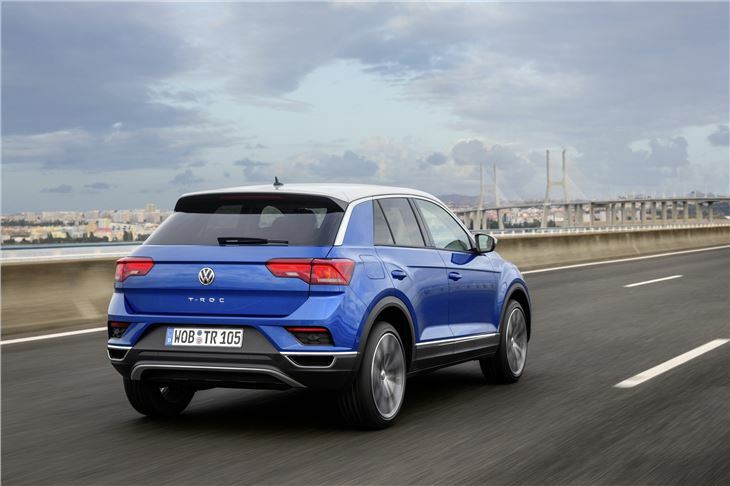 Where other models in the Volkswagen range are universally conservative in their design the T-Roc makes an immediate visual impact. It wears the wide grille already seen on the recent Arteon model but layers on many more distinctive lines and design features. It looks tough, but it also sits on 17-inch wheels as a minimum and has generous chrome detailing to boost the ‘premium’ look. 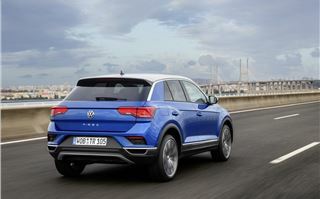 It’s hard to miss, especially when Volkswagen has given the T-Roc a wide choice of exterior colours and added the ability to choose a contrast roof and door mirrors, with up to 24 combinations of hue available.There’s further distinction inside too, as Design and SEL models get body-coloured panels on the dashboard and door trims that bring an instant lift. 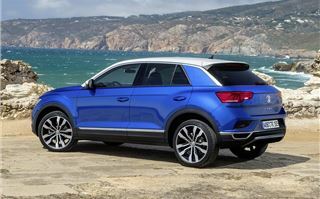 Without these the T-Roc’s cabin would be a more typical mix of quality and sensible, if plain, design. But the overall effect is likely to be popular with buyers. Look closely and much of the plastic used in the T-Roc is firm rather than the most expensive soft touch variety, but the important touch points are well finished with leather on the steering wheel and gearknob on all models. Space efficiency is good but not exceptional in the T-Roc, with a focus on providing comfort for four people rather than a bigger family. 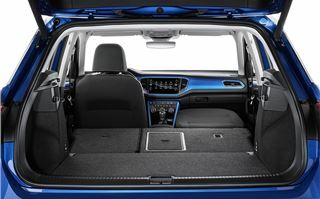 Those in the front will have little to complain about - there’s a good driving position with the slight increase in height over a comparable hatchback that is part of the appeal, while headroom and elbow room is good given the exterior dimensions. In the back it feels a little more claustrophobic, partly due to the slim windows reducing the light coming into the cabin. Legroom is sufficient for adults, although it is worth noting that the outer two seats are quite heavily sculpted to offer side support, meaning that the centre seat is significantly higher, reducing headroom substantially. 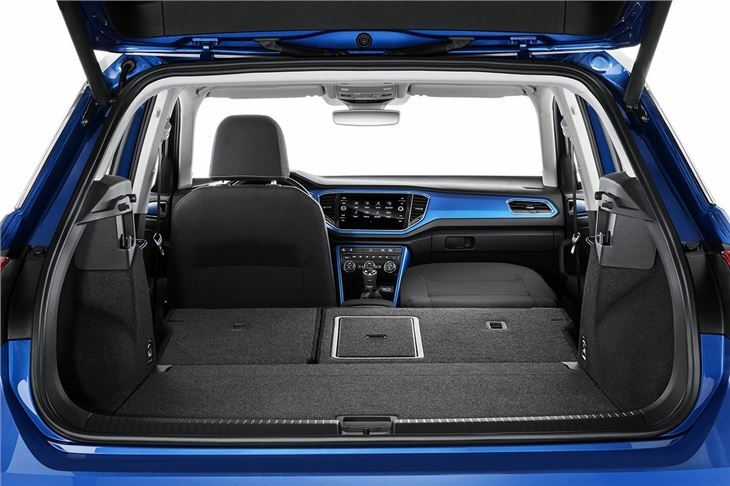 Volkswagen claims the T-Roc has the best boot space in the class and an adjustable boot floor makes it configurable to suit the circumstances. 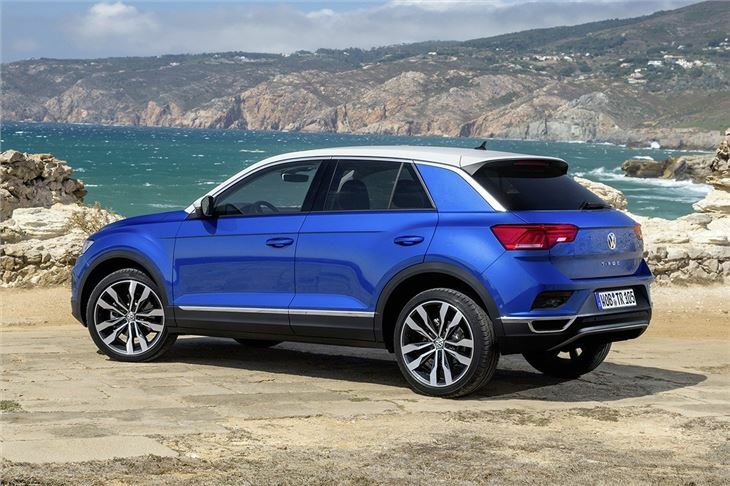 The refinement of the T-Roc is impressive from the first turn of the key, with the 2.0-litre diesel unit idling smoothly and quietly. Initial throttle response can seem a little sluggish but the driving programme selection, standard on Design and SEL models is mostly responsible; with Eco mode engaged the DSG gearbox holds on to higher gears and the accelerator needs a firmer push to tap into the available torque. Once rolling however the T-Roc responds with a surprisingly sporty attitude. Although light, the steering’s well-judged power assistance means it is quick to respond when driven with vigour, yet relaxed at motorway speeds. The same goes for the suspension set up which manages to handle poor roads with ease but retain good balance and body control through challenging bends. It copes less well with smaller, sharper bumps, but considering how well it drives this is a price many buyers will be happy to pay. The 2.0-litre diesel and DSG gearbox are equally adept at switching between cruising and sprinting - and moving the driving programme into Sport sharpens the car still further. 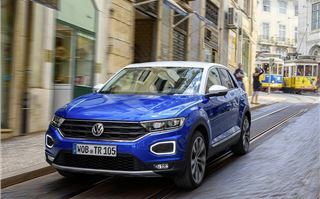 Volkswagen has taken a clear and understandable approach with the T-Roc, focusing on delivering a strong driving experience and an eye-catching look inside and out - no doubt because this is the same recipe used by its most successful rivals. It should certainly be judged as a success, as this is a small Volkswagen that appeals more to the heart than many of its siblings and stands comparison with the class best. 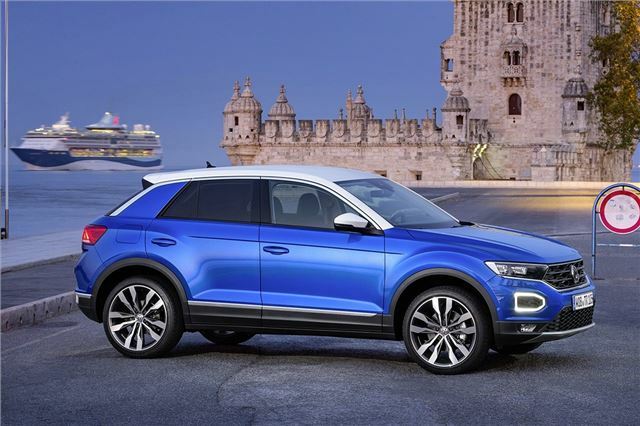 The modest standard equipment levels and slightly compromised rear seat will be forgiven by many, so expect the T-Roc to become a common sight. The Volkswagen T-Roc is on sale now.